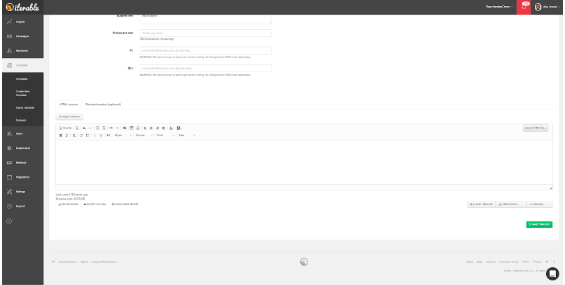 Using Liveclicker with Iterable allows you to create unique, personal experiences in the inbox of your users. 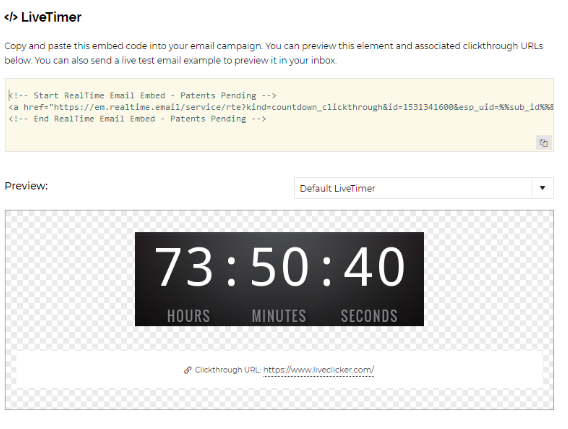 Liveclicker draws on realtime data that updates email experiences up until the user opens them. This integration requires an Iterable account and a Liveclicker account. If you’re not already an Iterable client, request a demo to discuss how the Iterable and Liveclicker integration can work for you. Below is an example of one of the many "up to open" experiences you can create with the Iterable Liveclicker integration. The LiveTimer element is used to countdown to events, promotions, registration deadlines or time remaining in sales. The timer counts from the moment a person opens an email to the event or promotion date creating a sense of urgency. After completing the three steps in the setup wizard, users will be able to copy and paste the embed code directly into their email template in Iterable where the timer will be displayed. Upon opening, the timer will display the exact amount of time remaining to the event. In Liveclicker, name your campaign and check the LiveTimer checkbox on the first step of the campaign creator to add a timer wizard into your campaign. 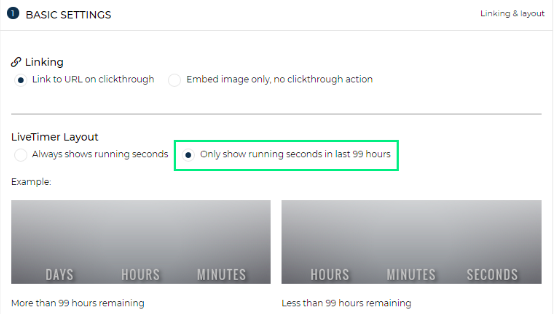 Always show running seconds: This layout will always show four units of time, including days, hours, minutes, and seconds. Only show running seconds in the last 99 hours: This layout will only show three units of time: days, hours, minutes; or hours, minutes, seconds. It will only show hours, minutes, seconds in the last 99 hours before your timer expires. Click Save and Next to go onto step 2 after you have made your selections. Select the dimensions (width and height) for your timer. 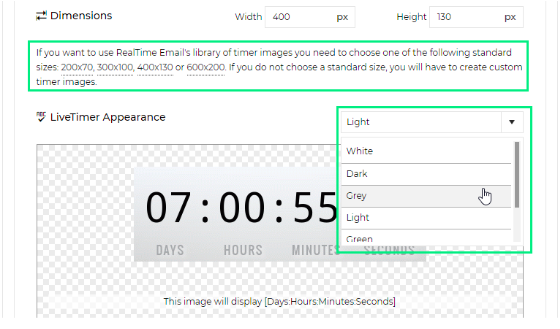 Configure your timer's appearance by choosing one of our default appearances (White, Dark, Grey, Light, Green, Red) or create a custom appearance. When using RealTime's default colors, you must also choose one of the default sizes provided in the text area above the timer appearance or your timer background will appear stretched. Read LiveClicker's Creating Custom Timer Appearances article to learn how to create timers with custom appearances. Set the clickthrough URL for your timer. Set the expiration for your timer and select whether you want your timer in the opener's local timezone. For more information setting your timer expirations, read Liveclicker's Setting the Expiration Time for your Timer article. Upload an expiration image for your timer, and choose your expiration image dimensions and clickthrough URL. 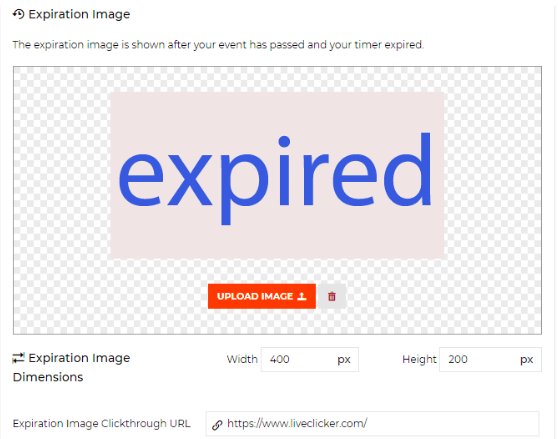 If you do not provide an expiration image for your timer, Liveclicker will serve your timer with all zeros and your default clickthrough URL. You can duplicate your default timer or click the Add a New Timer button to create different versions of your timer that you can target and test in step 3. When you are done setting up all your timer versions, click the Next button. In this step, you can add targeting rules to target your timer versions. To add a targeting rule, click ADD TARGETING RULE SET to create a rule set. Use the drop downs to define your rules. You can add multiple rules to a rule set by clicking the Rule + button. Then select the version you want to use for that rule set. 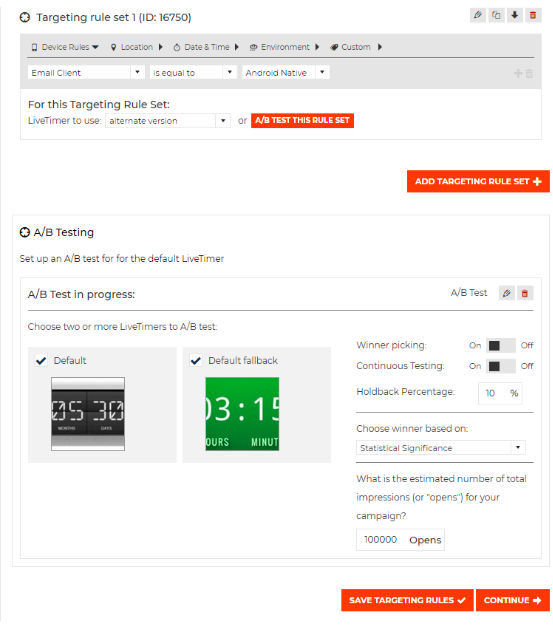 You can also set up two different types of A/B test for your timer. You can A/B test a segment set up by a rule set by clicking the A/B Test This Rule Set button inside of the rule set, or you can set up a general A/B test for all openers not specified by a rule set clicking the Add A/B Test + button in the blue A/B testing box. 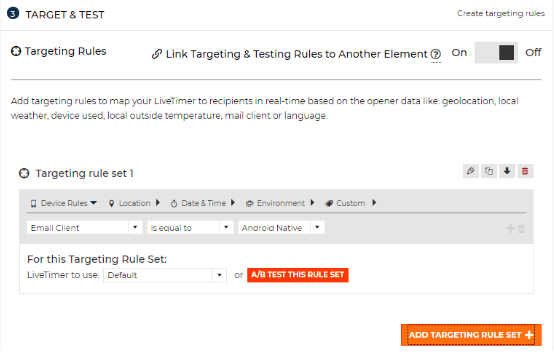 Once you have set up all your targeting rules and A/B tests, click Save Targeting Rules then click Continueto finish your set up for your timer.